Congratulations to Kris Hogquist who has been named the Department of Laboratory Medicine and Pathology's Vice Chair for Research. Kris Hogquist has been named Laboratory Medicine and Pathology Vice Chair for Research. 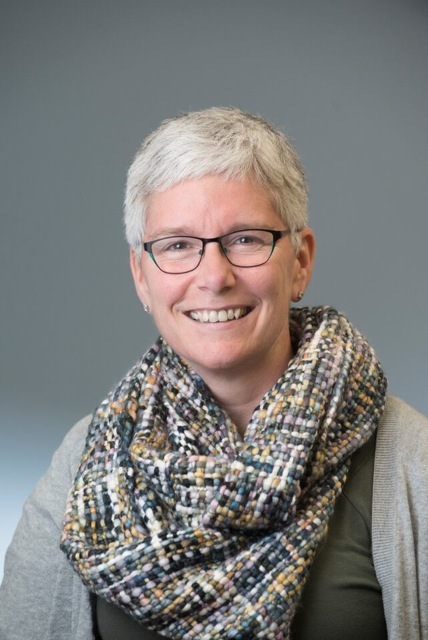 In this new role, Kris will serve as chair of the Research Advisory Committee (RAC), provide an avenue for peer review of grant applications, identify strategic initiatives to expand on the department’s existing research accomplishments and help support the chair’s research vision for the department. Kris was honored with the Dean's Distinguished Research Lectureship (DDRL) in 2016. The DDRL is awarded to outstanding faculty members who are selected to share their research stories which detail the state of the science when they entered the field, changes that emerged due to their work, and plans or predictions for the future of medicine and basic science research. Kris's lecture was entitled "Why do we need a thymus?" She described her research on the thymus, what the ancient Greek physician Galen called the "organ of mystery," and how the thymus selects and "educates" T lymphocytes in their early development. Kris received the American Association of Immunologists (AAI) Distinguished Service Award in 2014 for her outstanding service to the immunology community as Chair of the AAI Program Committee, 2009–2012. Kris's research program is focused on T cell development in the thymus, particularly positive and negative selection, tolerance, and T cell selection in immune homeostasis and response. Her group identified the first naturally occurring self-peptides involved in the positive selection of T cells and studied their affinities for the T-cell receptor when bound to MHC, providing evidence for an affinity model of thymic selection. She has published more than 140 research and review papers and three book chapters. Her paper T cell receptor antagonist peptides induce positive selection, published in Cell in 1994, was selected as a “Pillars of Immunology” article by the Journal of Immunology. Kris received a bachelor's degree from the College of St. Catherine in St. Paul. She earned her doctoral degree in Immunology from Washington University in St. Louis and did post-doctoral work at the University of Washington, where she first became interested in T cell development. She started as an Assistant Professor in our department in 1995. She has trained over 25 graduate students and post-doctoral fellows and maintains a strong interest in mentoring the next generation of scientists.